Whiskey a-go-go this weekend in San Francisco! 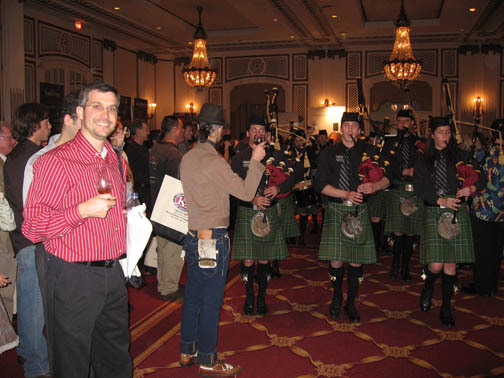 The Whiskies of the World Expo is the popular whisky tasting event, which takes place annually in San Francisco. In its 11th year, the Expo will be held this Saturday March 27, at the beautiful Hotel Nikko. There are several new products making their debut! Along with the gentlemen and women behind them. Plus whiskies from Australia and Finland-something you cannot buy from the store. And moonshine – whooweee! The place will be packed with men – so slip on your sippin’ stilettos ! Guests will also enjoy a full buffet dinner, mixology demonstrations, Celtic crafts, chocolate and fudge pairings, live music and more, including some surprises. VIP tickets cost $120 and General Admission tickets cost $110. 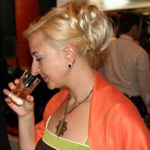 For more information and to purchase tickets, visit www.whiskiesoftheworld.com. Live Bushmills Pipe and Dram Band!